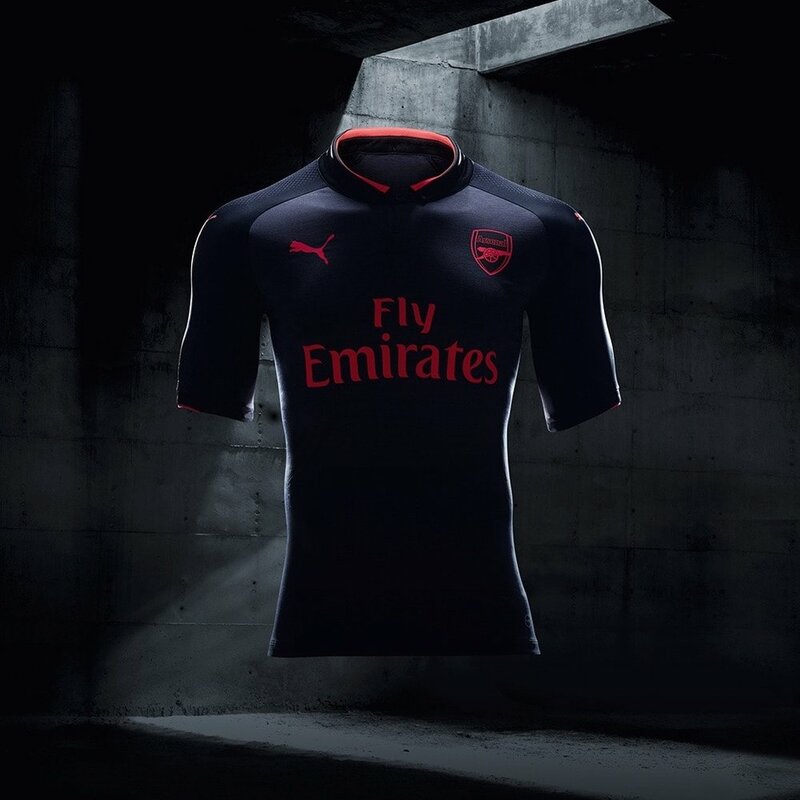 Arsenal have teamed up with PUMA to unveil their latest strip - a dark offering for their third kit. It comes as part of PUMA's mass #StepOut from the shadows campaign. 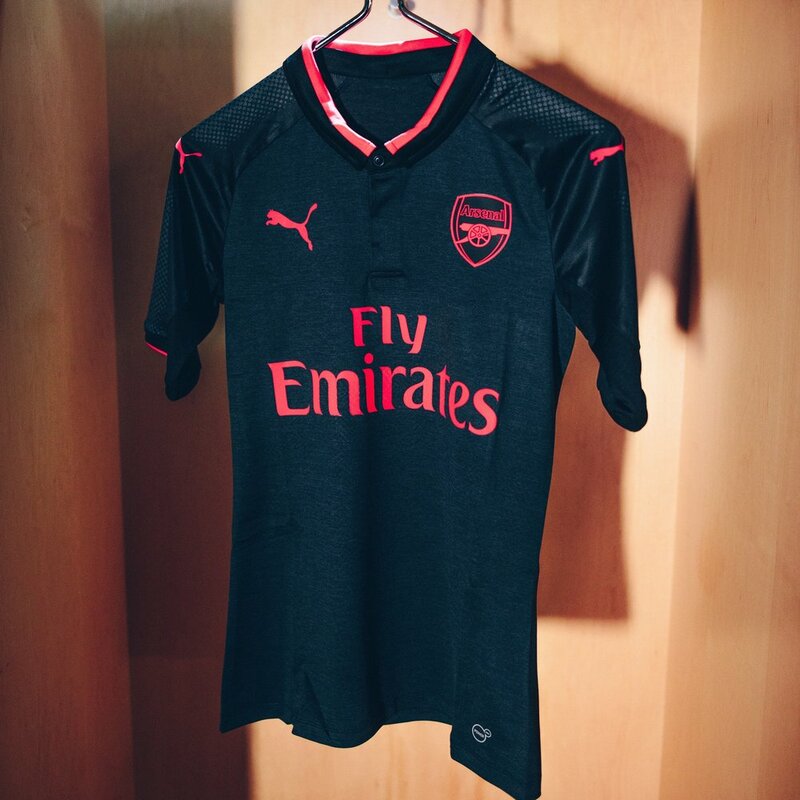 The kit features dark shadow primary colour, with a darker trim across the shoulders. The detail is pink.